The best party out of Melbourne is right here in Perth. Whether you want to Sip + Nibble or Wine + Dine we have the package for you. With packages starting from $49 per person we have the ultimate day out for you and your friends. Dress up, watch the races, eat and drink good food, could their be a better excuse. 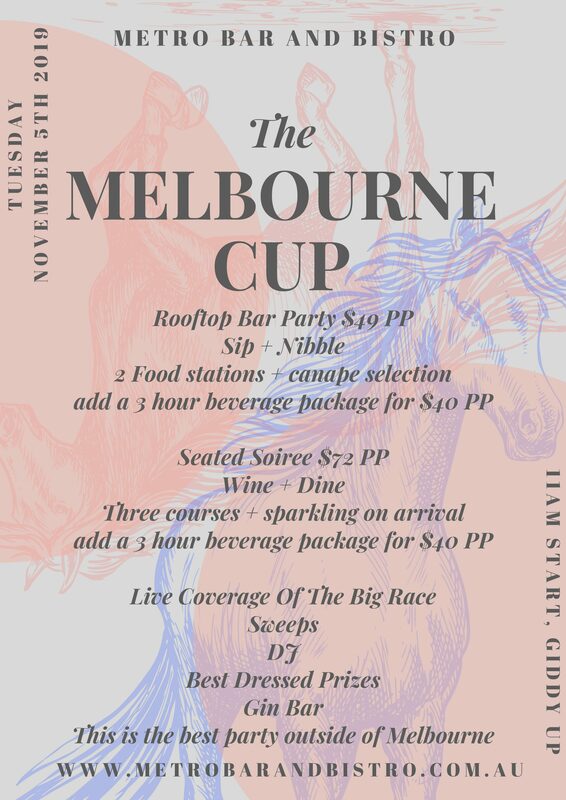 Best dressed prizes valued up to $1000, DJ, Photographer, Live action of the big race, sweeps, lipstick lounge and much more! Filed under Gallery, Special Events.